John Baldwin has been entertaining professionally for 20 years. 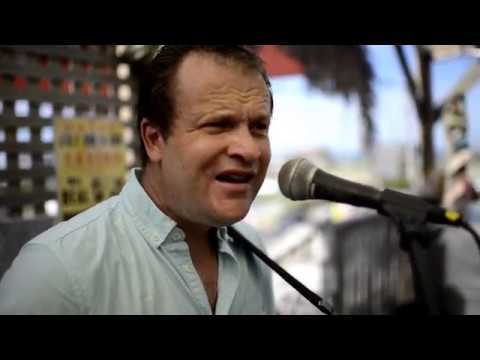 John plays up and down the East Coast, playing weddings, parties, festivals, and clubs. John performs as a one-man band, but sounds like a 2 or 3 man band. John plays, and then loops, percussion, guitars, ukulele, and/or steel pan all while singing. John will learn new songs for the wedding ceremony, will play exactly what is requested, and will play what is appropriate as the event progresses. John can play instrumentals or sing special songs during the wedding ceremony. John can play music for the cocktail hour. John can even step up the energy for the reception music. John was a perfect choice for our outdoor summer wedding. He was easy to work with, prompt and professional. He has a wide array of song selections and has a great talent. I highly recommend him! Thank you John, for helping make our special day even more memorable! John Baldwin made our Derby Party great! John played a great arrangement of music. Very talented. When he says one man band he wasn't kidding! Kept dance music playing for us while he was packing up. We will definitely use John again. Thanks for making our Derby party great!! John recently played at our wedding for both the rehearsal and cocktail hour. He met with us prior to and was extremely accommodating and flexible with our song choices - he wanted our day to be exactly what WE wanted and he exceeded my expectations! We communicated back and forth via email and phone and he kept me informed of any suggestions he had. He made us feel so comfortable and I had no doubt he would show up at the venue in ample time and sound great- which he definitely did! We even had him stay for a bit because he's just an all around great guy! I would highly recommend John to family.. friends.. everyone! Typically, for a wedding I play light instrumental guitar background music while guests are being sat. While they bridal party enters I may sing or play one special song. When the bride enters I sing and play something specially chosen by the bride and groom. During the ceremony I may be asked to play a special song after a prayer or during a candle or sand ceremony. I play another special song for the couple's exit. Then I move to the cocktail reception and sing and play some upbeat easy listening music. I may also be hired to play the entire reception if a DJ is not hired. I sing and play guitar on most songs. I am also asked to sing and play ukulele alot for weddings. During cocktail hour and reception I play guitar and use a loop pedal to repeat my guitar part back so i can then add more guitars, ukulele or percussion on top. It creates a full sound which you can see in my promo video. John performs as a one-man band, but he sounds like 2 or 3 people. He sings while playing guitar and looping percussion, ukulele, and steel drum. He plays up and down the East Coast; playing weddings, parties, festivals, and restaurants. Recently John was submitted for 12 Grammy nominations, toured with Celtic-rock band The American Rogues, toured with Irish-dance musical "Rockin' Road to Dublin," acted on TV shows for I.D. channel, and performed for Carnival Cruises. Instrumental guitar, ukulele or steel drum while guests are being sat. Bridal entrance song, vocal or instrumental. Additional ceremony song, example sand ceremony. After Ceremony sing and play easy listening music for length of the cocktail hour. Typically 1-2 hours. After Cocktail Hour cover all the Reception music & MC announcements. Typical length 3-5 hours. Option 1) One-Man acoustic band show, alternating with DJing dance music. Option 2) Full band show: 4-piece band, male and female vocals, full sound and lights. John will learn new songs for a wedding ceremony, will play exactly what is requested, and will play what is appropriate as the event progresses. He is happy to MC where needed and to wait where needed. He is reliable, flexible with location and time, and most important very personable and fun for the guests. John can play instrumentals or sing special songs during the wedding ceremony. He can then play music for the cocktail hour. He can then step up the energy for the reception if desired. And he will learn any special songs for couple dances and MC wedding guest introductions. He will DJ music on the ipod during his breaks. I play guitar principally. For instrumentals as guests are being sat I'll play a classical guitar. I'll play a regular acoustic for any songs I sing. I also play ukulele mixed in with guitar at weddings. I even play steel pan if requested. John Mayer, Jason Mraz, Train, Dave Matthews, Jimmy Buffett, Zac Brown, Alan Jackson, Keith Urban, Kenny Chesney, James Taylor, Eric Clapton, Billy Joel, Bon Jovi, Led Zeppelin, Journey, Stevie Ray Vaughan.